PANOMAX Brixen Plose - A splendid panorama view. Plose: Plose Skiarea, 0.1 mi. Plose: View onto Brixen, 0.7 mi. Brixen-Bressanone: PANOMAX Brixen Plose, 1.3 mi. Brixen-Bressanone: Casa Pezzei, St. Leonhard, 2.7 mi. Villnöß: Geisler Group, 4.2 mi. 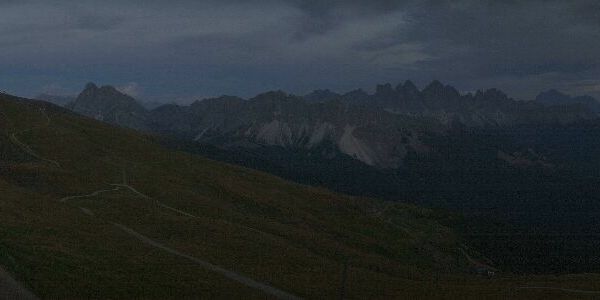 Natz-Schabs: View from Raas towards Brixen, 5.2 mi. This webcam Brixen-Bressanone with the theme Ski-Resorts was added on February 1, 2019 and is operated by PANOMAX. It got 193 visitors since then. Shouldn't this webcam work or should the link be wrong please report that here. You can add this webcam here to myCams. Here we have a list of places in Italy with webcams nearby.